In the Windows 8 Microsoft is making sure users see the Metro interface first thing when the OS boots up. Even if you drag an application like XBMC into the Startup folder it won’t work exactly as you expect. 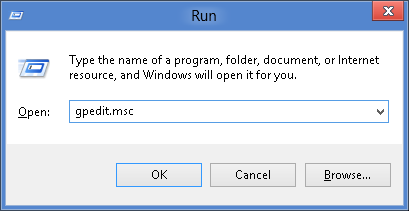 Doing that will cause XBMC to start with Windows 8, but it will be running in the Desktop portion of the OS. That means you won’t actually see XBMC until you switch from the Metro interface over to the Desktop. There are different ways around this, and I’m going to share my favorite way for anyone using their machine primarily as an HTPC. 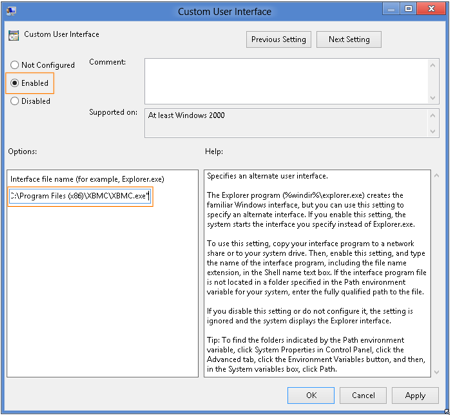 It leverages the kiosk mode that has been present in previous versions of Windows, and still remains available in Windows 8. The nice thing about this mode for anyone using their machine as a dedicated HTPC is that it keeps the minimal amount of processes and services running providing a highly optimized XBMC experience with very little tweaking. 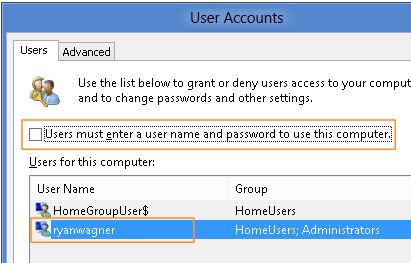 Select the account you want to autologin with, and then uncheck the box labeled “Users must enter a user name and password to use this computer“. Click OK, and you should be prompted to enter in the password for that user. 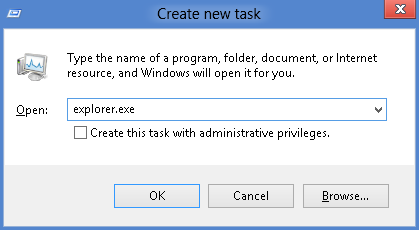 If you want to seamlessly be able to put your computer to sleep and wake it up you might want to consider disabling the password prompt that will be displayed each time the computer wakes up. 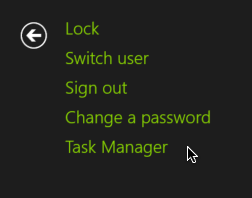 Once in the Control Panel go to System and Security -> Power Options -> Change Plan Settings -> Change Advanced Power Settings, and click the link that says “Change settings that are currently unavailable“. 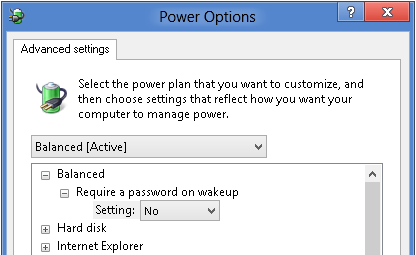 Now you can set the “Require a password on wakeup” option to No. Click OK, and restart your computer. XBMC should be shown immediately after startup. 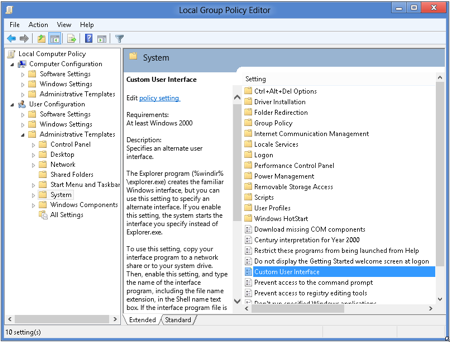 You need to keep in mind that with this mode anything that you place in the Startup folder will not start with Windows 8. 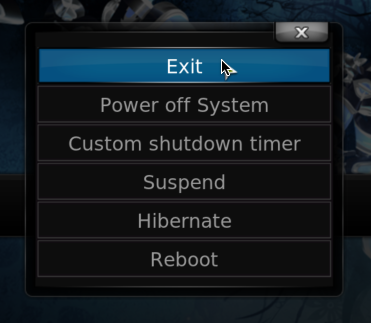 Those items are only triggered when the desktop or Metro interfaces run, but there is a way to get around this. 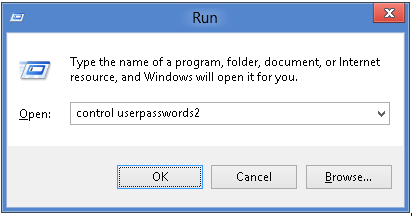 If you need anything specific to run you can create a batch file that lists out each of the executables you need to start with Windows 8 (including XBMC), and then in Step 3 above you can put the path to the batch file. 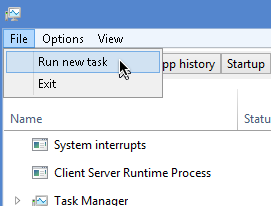 At this point you should see the Windows 8 Desktop, but the Taskbar may not have any icons. Just go ahead and press the Windows Key to flip over to the Metro interface, and the next time you switch back to the Desktop it should look just like you’d expect it to. There you go. With all of that in place you should be able to start your Windows 8 computer and immediately begin enjoying everything that XBMC has to offer.